This post will cover the most common Army Platoon Leader duties and responsibilities. We will also provide a sample Platoon Leader job description. Serving as a Platoon leader is one of the best jobs in the Army. I’m not sure of anywhere else in the world, where someone in their early 20’s, right out of college, has the opportunity to supervise 20 to 50 people and be responsible for equipment valued at millions of dollars. It is a fun job. It is a challenging job. It is a developmental job. Platoon leaders have a lot to learn. After all, in most cases, they don’t have any real-world leadership experience, or life experience. You will learn so much about yourself during your time as a Platoon leader. You will develop your people skills, learn Army tactics, learn how to lead others, how to handle discipline issues, conflict management, how a platoon operates within a company, how the Army functions, and hundreds of other things. If you’ve been blessed with the opportunity to serve as a Platoon Leader, consider yourself lucky. Don’t take your position for granted. Learn everything you can, keep an open mind, and work closely with your Platoon Sergeant. What you will learn as a Platoon Leader will ultimately shape your leadership style and your military career. With that being said, here are the most common Army Platoon Leader duties and responsibilities. The first and most important mission of an Army Platoon Leader is to accomplish the mission. Whatever their mission might be, they need to make sure it gets done on time and to standard. This includes any tasks they are personally assigned to complete AND any tasks their platoon is tasked with. My Advice: Put the mission first and get the job done. No excuses! The second thing Army Platoon Leaders are responsible for is taking care of their soldiers. This is their second most important task, right behind accomplishing the mission. Platoon Leaders are responsible for the health, morale and welfare of their soldiers. While the Platoon Sergeant will be actively involved with many of these things, it’s ultimately the Platoon Leader’s responsibility. My Advice: You are NOT your soldiers’ friend. You are their leader. You don’t need to be buddy-buddy. You shouldn’t be buddy-buddy. Just make sure your soldiers are taken care of and they will take care of you. A good Platoon Leader is worth their weight in gold in the field, if they are technically and tactically proficient. In fact, officers make their money in the field. They plan and supervise tactical operations, FTXs, Battle Drills and much more. Any officer can survive in a garrison environment, but it takes an exceptional Platoon Leader to thrive in the field, or in combat. As a Platoon Leader, your job is to maneuver your Soldiers in combat to get the mission done. Even though you definitely aren’t the most experienced person in the platoon, you are the senior person and you have to be tactically proficient. My Advice: Study Army tactics whenever you can and do everything you can to be technically and tactically proficient. Platoon Leaders plan, resource, execute and assess training at the platoon level. They write operation orders, request training resources, conduct mission briefs and assess training. They also prepare risk assessments and do After-Action-Reviews (AARs) with their soldiers and with their supervisor, the Company Commander. The Platoon Sergeant focuses on individual training and the Platoon Leader focuses on collective training. I like to think of the officer as future operations and the NCOs as current operations. My Advice: Make sure your soldiers are mentally and physically prepared to do their wartime mission. It’s your job to make sure your soldiers are trained so they can fight, win, and return home safely. There is only one standard in the Army, the Army standard. As a commissioned officer, your job is to enforce the Army standards to everyone under your authority. When you see something wrong, fix it. Address the issue immediately. My Advice: Lead by example at all times and inspire people to do the right thing, by following your own personal example. One of the important Army Platoon Leader duties includes soldier and leader development. It’s your job to help grow and develop future Army leaders. You need to ensure your people are mentored and developed properly, so they are prepared for increased responsibility in the Army. You do this through coaching, training, counseling, and one-on-one mentorship. You also need to ensure your soldiers get the required NCOES and professional development schools they need. My Advice: Work closely with your Platoon Sergeant to ensure each soldier in your platoon is being mentored and developed for positions of increased responsibility. You don’t have to do it all yourself, but you do need to make sure it gets done. Most Platoon Leaders are responsible for $1 million or more worth of equipment, and sometimes much more than that. This includes vehicles, sensitive items, radios and office equipment. They typically “sign” for this equipment and must maintain accountability for it at all times. This means they conduct inventories, reconcile inventory reports, do inspections, and are held accountable for missing and damaged equipment. My Advice: Educate yourself about Army inventories. Talk with the Supply Sergeant and Property Book Officer. Never sign for anything unless you have physically touched it and inspected it. Platoon Leaders are responsible for the operational readiness of their platoon’s equipment. They must adequately maintain their equipment to ensure it is ready to deploy at moment’s notice. This includes PMCS, scheduled maintenance, unscheduled maintenance and services. Maintenance must be done on vehicles, radio equipment, weapons, and much more, on an ongoing basis. The platoon leader oversees the platoon’s maintenance program. My Advice: Educate yourself about maintenance. Develop a good relationship with the Battalion Maintenance Officer and Shop Officer. Platoon Leaders must ensure their Soldiers are ready to deploy at moment’s notice. This includes physical fitness, medical readiness, weapons qualification, profiles, etc. Platoon Leaders work closely with their Platoon Sergeant to manage their Soldiers on an individual basis and know the strengths, weaknesses and shortcomings of each Soldier. They must ensure their Soldiers are physically and mentally prepared for combat. My Advice: Keep your leader’s book updated and know the status and issues of all of your soldiers on an individual basis. As a Platoon Leader, you will handle lots of paperwork. It isn’t fun, but it’s an important part of the job. You will type up reports, operational orders, awards, evaluation reports, disciplinary items, awards, and countless other things. Handle your paperwork promptly. Do it right the first time. Be organized and never keep one of your subordinates waiting on you for a signature. My Advice: Pay attention to the details. Verify everything you sign. Be prompt and punctual with paperwork. One of the biggest responsibilities of the Platoon Leader is to conduct mission planning. Whenever given a mission order from their higher headquarters, Platoon Leaders conduct mission analysis and use the Troop Leading Procedures to come up with a game-plan for their platoon. They take their game plan and finalize it in an operations order, which they then disseminate to their platoon. This is a LARGE part of their job, planning for upcoming missions. My Advice: Put serious time and effort into coming up with solid mission plans for your platoon. No plan will ever be perfect. Utilize the 1/3-2/3 rule whenever possible, to give your subordinates enough time to execute the plan. Serves as the Ground Support Equipment (GSE) Platoon Leader in a Direct Support (DS) Maintenance Company assigned to a Forward Support Battalion part of the 3rd Brigade Combat Team, 4th Infantry Division (Mechanized).Responsible for providing DS repair for Land Combat Systems, Electronic Maintenance Systems and Engineer Support Systems. Responsible for the health, welfare, morale and training for 60 Soldiers. Also responsible for MTOE equipment valued in excess of $6 million. Additional duty areas are AER Officer and Supply Officer. This is not a complete, ends-all list for the Army Platoon Leader duties and job description, but this gives you a fairly good idea about what to expect as a new Army Platoon Leader. Simply put, serving as a Platoon Leader is a great job. You will learn so much about yourself, your strengths, your natural talents and abilities, and your own military leadership style. If you would like to read about my own Platoon Leader experience, read my post about my Ground Support Equipment Platoon Leader experience or my Supply Support Activity Platoon Leader experience. I think you will enjoy these two posts. What are your thoughts? What do you think are the most important Army Platoon Leader duties and responsibilities? Leave a comment below and let us know. I look forward to hearing from you. Thank you Rajpoot. We hope it helps. When are you and Bob coming back to F. Co? Ricky Chicken is crying because nothing is funny anymore. Hi Chuck, I wanna say one thing that your website is very informative and helpful. It helps me and many other people out there. I am going to join army from next year so can you tell me which are the requirements for platoon leader. To be a PL, you must be a commissioned officer. It’s not a job you can enlist into. I have an enormous respect for solid platoon leaders, and those who have been solid platoon leaders learn skills that will enable them to lead any group, anywhere. I agree with the above comment by Candace Ginestar. In the service, you get pushed to reach your potential quicker. As a new officer and Platoon Leader you are forced into leadership right from day one. Great post. 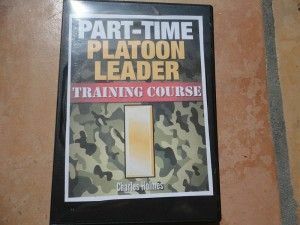 I always thought of Platoon Leaders as mostly managers but also in the training, morale, and discipline fields. I knew there was more to it but didn’t really think that through. I think the most surprising one, or job I least expected a Platoon Leader to do is to be a tactician. It makes sense, though, and all the Platoon Leaders I’ve known have been very good at this, also. I definitely personally feel like Platoon Leaders are the people persons of the Platoon– the ones who work closest with the soldiers and have the opportunity to know them the best so that they can help them the best. A Platoon Leader is a manager and a leader. These can be two very different things. Managing falls more into the keeping your platoon up to date on training, managing the equipment and maintaining readiness. Being a leader can be more leading your platoon in the field, leading and working with your NCO's and developing your soldiers for the next step in their career. I always tells folks you manage tasks and lead people. This was very helpful I’m trying to get a platoon leader position for my JROTC class currently I’m a sergeant and I want to become high and I believed a platoon leader was a good way to go up that is because I’m only going to be a let 2 and I don’t think I’m ready for anything higher. Maybe next year ill apply for a higher position but this was very helpful thank you!!!! I’m glad I could help Shyanne. Good luck in your next duty position. Well, let me tell you, I am totally loving my PL time, leadership challenges! I got them, NCOs trying to push me in a corner! I got that too, but what they got is the horns on this bull, cause “homie don’t play dat”. I definitely feel honored and blessed, along with the challenges comes awesomeness! Accomplishing missions, handling the daily taskings and last minute “hey you”! and still coming out on top is awesome, re-enlisting Soldiers is Awesome! Turning wrenches with Soldiers is Awesome! Leading the Largest platoon in my BN IS AWESOME! But being able to admit your weaknesses is humbling, but knowing that your soldiers see your effort and your will to win with honor motivates them to do the same…and that IS AWESOME! Good for you Debbie! Keep moving forward. I’ve been a PL for 10 months. How long do you think I should stay in my current position for? I think 12 to 24 months is completely acceptable. I think it’s also good to look around at other jobs you might be interested and try to figure out when the person in that job will be leaving that job. That way you can position yourself for success. Just my two cents. I just graduated from the military academy as a platoon leader I’m now better informed on my job description and responsibilities. Congratulations Joe, keep up the good work Brother-in-law!!! Have been appointed platoon leader by my training officer at the police academy. My responsibilities are to 4 squads of 10 recruits and 4 squad leaders. I'm up for the challenge and enjoying the opportunity. Good for you Joseph. I’m sure you will do a fine job as a Platoon Leader. Thanks for the comment. I spent about two years as a Platoon Leader and I really enjoyed the job. I ended up leaving the Army as a young Captain and entered the civilian world. That was about 20 years ago. I’ve had a successful civilian career, but I’ve never had anywhere near the responsibility that I did when I was a Platoon Leader. Thanks for serving, Mike. I agree, most civilians don’t get anywhere near the experience that a Platoon Leader gets when it comes to leading others. I don’t know hardly anyone in the civilian world in charge of 50 or more people. so these are my duties…. kinda hard but challenging. I’m sure you will do a great job, Joshua! I spent 18 months as a Platoon Leader and I have to tell you Chuck that these duties and responsibilities are spot on. When I first started my job it was very overwhelming. I never expected my first job out of college to be so demanding. Needless to say I learned a lot about myself and about other people. Thanks for your service, Maria. Platoon Leaders have a really cool job, especially for a new college graduate. I think being a Platoon Leader would be pretty awesome. I can’t imagine being that young and being in charge of 20 to 50 people. I think it would be tough and fun. It is a tough and fun job, Mark. Most new LTs are overwhelmed at first, but they get it figured out pretty well. You can use what you get from this page as long as you cite it as a source. Thanks for asking. This seems like a really long list of duties and responsibilities for someone who is so young. How do these recent college graduate Platoon Leaders deal with all this responsibility? In the corporate world, they wouldn’t get a job anywhere near as demanding as that right out of college. Martha, The Military as a whole tends to push people past their supposed capabilities based on age. Young privates grow into effective leaders much sooner than their civilian peers, too. I think the reason it works is that it is a big team, nobody is doing it alone. A PL is responsible for these tasks noted above, but they learn to delegate and then ensure that the tasks are done to standard. A good leader should not be doing all of these things themselves, but should be supervising others and able to discern if things are getting done right. Couldn’t say it better myself, Candace. As a civilian, I am learning a lot about the various positions and responsibilities of different ranks and job titles. I am continually amazed at how many different duties and skills a leader in the military requires. It sounds like a Platoon Leader needs the right mix of brains and social skills to get stuff done, since their duties appear to be quite comprehensive. It does take a special person to be a good Platoon Leader. Anyone can be an average or marginal Platoon Leader, but like you said, it takes someone with great social skills, brains and a good work ethic to go above and beyond with the Platoon Leader duties and responsibilities. Platoon Leaders sure have lots of responsibilities! I’ve been in the work force 20 years now. It took me almost 10 years to be placed in a position where I supervised five others. I couldn’t imagine being placed in charge of 30+ people in my first job. Talk about an awesome responsibility. You are right, it is a challenging first job. But most Platoon Leaders handle it well. I’ve found that most people rise to the level of expectation that we place on them. Thanks for the comment. Working as a Platoon Leader is a huge responsibility, but it’s also very fun. Leading others isn’t all that difficult, if you take the time to develop your own leadership skills and learn what makes others tick. Platoon leaders sure are responsible for a lot. I cannot imagine a civilian having that much responsibility at the same age. I guess that’s why the military does so well developing and grooming leaders. Thanks for the comment Hellen. Yes, Platoon Leaders do have a big responsibility. When I was a new Platoon Leader, I was a bit overwhelmed at everything I had to do. But as I got a little experience, I adapted fine. The leadership lessons I learned during my time as a Platoon Leader shaped me for the rest of my military and business career. Print a copy of this out and put it in your Leader’s Book! If anything, everytime you open it up you will be reminded what your job is. It is often nice to see, in writing, what is expected of you. I agree with you, Justin. 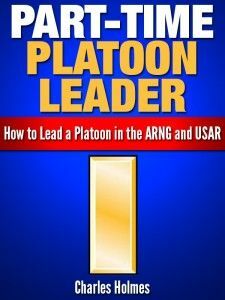 All Platoon Leaders should have a copy of their counseling and job description in their Leader’s Book. Unfortunately, most Company Commanders never do this counseling with their Platoon Leader, so they never know what their job is or what is expected of them. That is an excellent idea Justin. Too often when we are in a position for a long period of time we can become complacent and forget what our first priorities are. I believe this happens often to platoon leaders. I agree, print it and put it in a location where you will see it often. Your Leader’s Book is probably the best. When you see it, read thru it again and be reminded. Very good job on this post Chuck! My brother is a Platoon Leader in the Marines. I never realized Platoon Leaders had so many responsibilities! My brother is always talking about everything he has to do, but after reading this post I have a true appreciation of what he is responsible for. Considering he is just 22 years old, this is no small feat. Thanks for visiting my website. Your brother really does have an awesome responsibility. Most people his age would never get that type of responsibility in a civilian job. Being an Officer and new Platoon Leader makes you grow up fast. When you are responsible for so many people, you have to be mature and responsible. Thanks for sharing these Platoon Leader duties and responsibilities. I will start my tenure as a Platoon Leader next month. I’m assigned to a Maintenance Company and am looking forward to the opportunity to lead Soldiers. Good luck as a new Platoon Leader. My best advice to you is to be gung-ho, but keep an open mind. Try to spend your first 1-2 months observing things, so you can see how things work. Don’t be too quick to change things. And whatever you do, work with your Platoon Sergeant and keep an open mind. You might be the one in charge, but they are the one running the show.